Member of: UN, AU, Commonwealth, AfDB, Comesa etc. The military of Seychelles was formed in 1977, as before that date the country only had a police force. Up until recently the armed forces were considered to be poorly trained, motivated and disciplined but efforts have been made to address these challenges. Much of the armed forces’ equipment delivered in the 1970s and 1980s (such as BTR-152 vehicles, D-130 artillery, BM-21 rocket launchers etc.) is unserviceable, although the Air Wing’s equipment is generally in good condition and has been boosted by additional aircraft from India and China. Indeed, India has provided a considerable amount of assistance to the Seychelles, particularly regarding counter-piracy operations and has supplied vessels and aircraft to monitor the country’s exclusive economic zone (EEZ). Since 2011 India deployed a Dornier 228 to the nation’s capital to patrol for pirates pending the delivery of aircraft to the Seychelles government. The Do 228 delivered in early 2013 is fitted with a FLIR sensor, surveillance radar and satellite communications. China has also provided economic and military assistance to the Seychelles, including the donation of two Y-12 utility aircraft for maritime patrol duties, and has trained military personnel. The United States based unmanned aerial vehicles (UAVs) in the Seychelles to combat piracy, but these were withdrawn after a number of crashes. Other nations, such as Luxembourg, operate maritime patrol aircraft from the islands. Piracy is the greatest challenge facing the Seychelles, together with illegal fishing and smuggling. The Coast Guard and Air Force also conduct anti-drug and search and rescue missions. The Coast Guard’s effectiveness is limited by having a small number of serviceable vessels available to patrol its vast exclusive economic zone (EEZ) covering nearly one million square kilometres. The Seychelles is one of a few countries to detain and try pirates captured in the Indian Ocean, but has struggled with the cost of detaining over 100 pirates that have been arrested by international naval forces in the Indian Ocean and the Gulf of Aden. External	 •	The Seychelles is presently facing no external military threat although the island is facing a threat from maritime piracy in the Indian Ocean. Internal	 •	The Seychelles is facing no internal security threat. 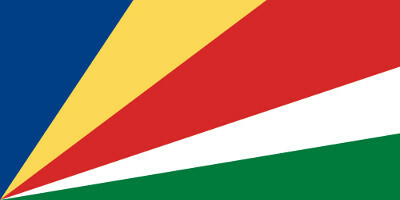 Political •	Seychelles is considered to be politically stable. Economic	 •	The Seychelles economy is largely based on agriculture, fishing, and tourism. This has been affected by piracy.